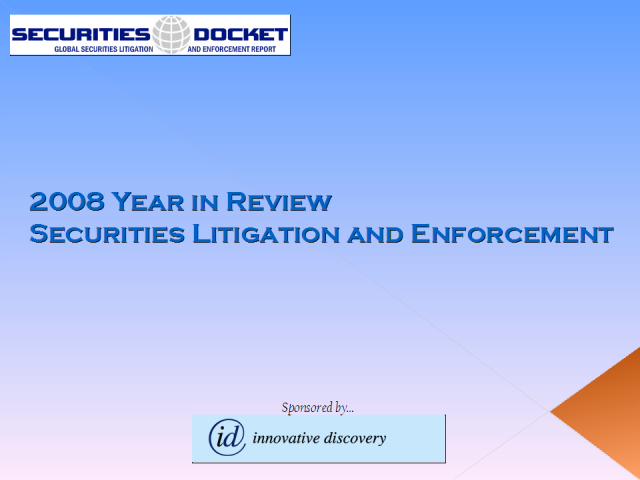 Join a lively webcast featuring many of the leading bloggers in the securities litigation and SEC enforcement field as we take a look back at 2008, one of the craziest and event-filled years ever. Panelists are Tom Gorman, Kevin LaCroix, Francine McKenna, and Walter Olson. Moderated by Bruce Carton, Editor of Securities Docket. January 6, 2:00 pm Eastern.